Owners of the Spark and Sonic will need an iPhone 4S or iPhone 5 (there’s no reference as to whether the iPad will be supported) which will enable them to use an “Eyes Free mode” that allows interaction with their iPhone using just their voice, while the device’s screen remains unlit. 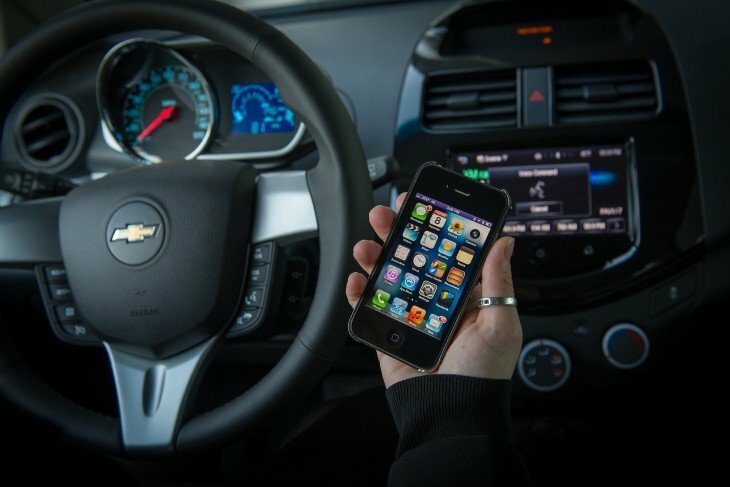 It all centers around a MyLink radio connection via Bluetooth, which pairs with the iOS device and allows users to interact with the steering wheel voice activation button to interact with Siri in Eyes Free mode. From this mode, users can make hands-free calls, play songs from their iTunes library, listen and compose messages, but Siri will not be able to perform more complex requests that require the opening of a web page while in that mode. The move by General Motors to integrate Siri into its lower priced models is certainly a welcome one. Usually integration like this is saved for the more premium models in the range where a high priced extra is required to get everything to talk. This time, the expensive part of the system is already built into your iPhone 4S or 5. The important part is driver safety, the ability to do all of the things that Siri can do without the need to take your eyes off where you are going, has to be a really positive thing. Other car manufacturers are also believed to be working on similar systems to integrate Siri into their vehicles. Mercedes-Benz, BMW, Toyota, Audi and Honda have all confirmed that they will be offering Siri integration in the future.